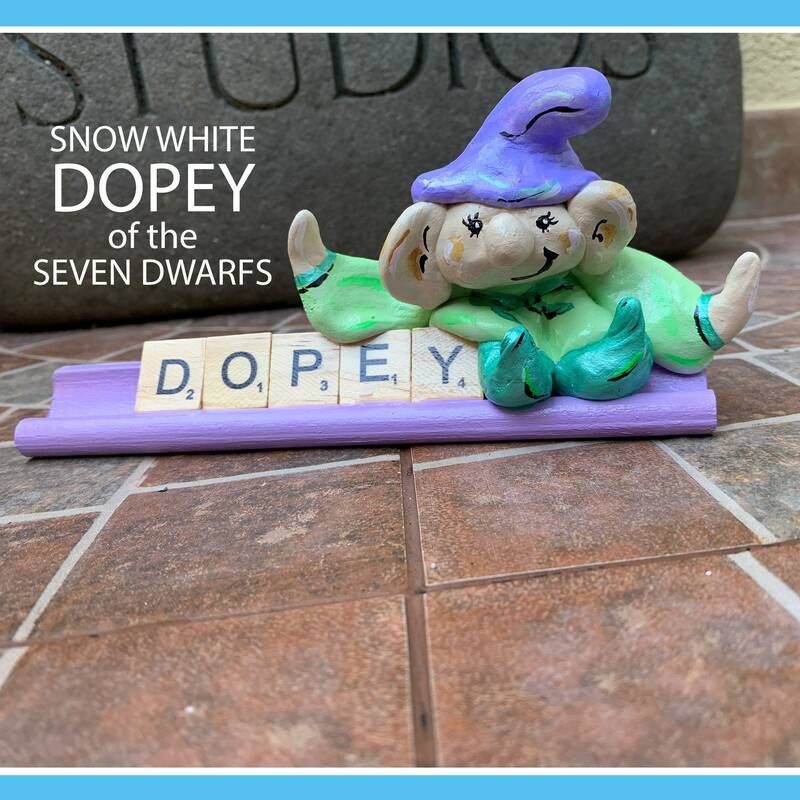 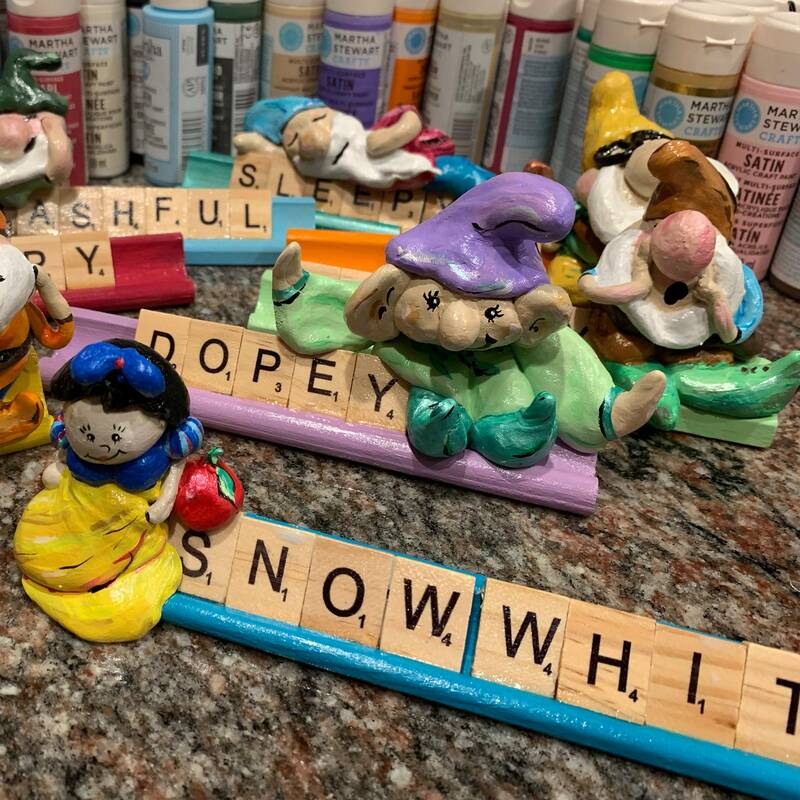 Dopey from the Brothers Grimm Snow White Schneeweißchen Tale 53 has some larger than life characters and Dopey is one of the most beloved. 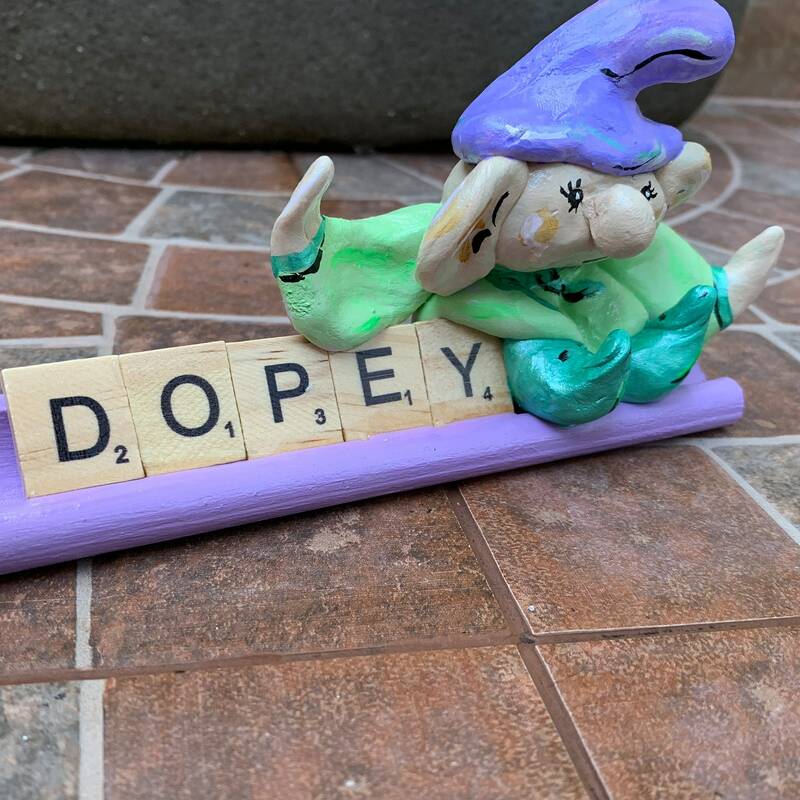 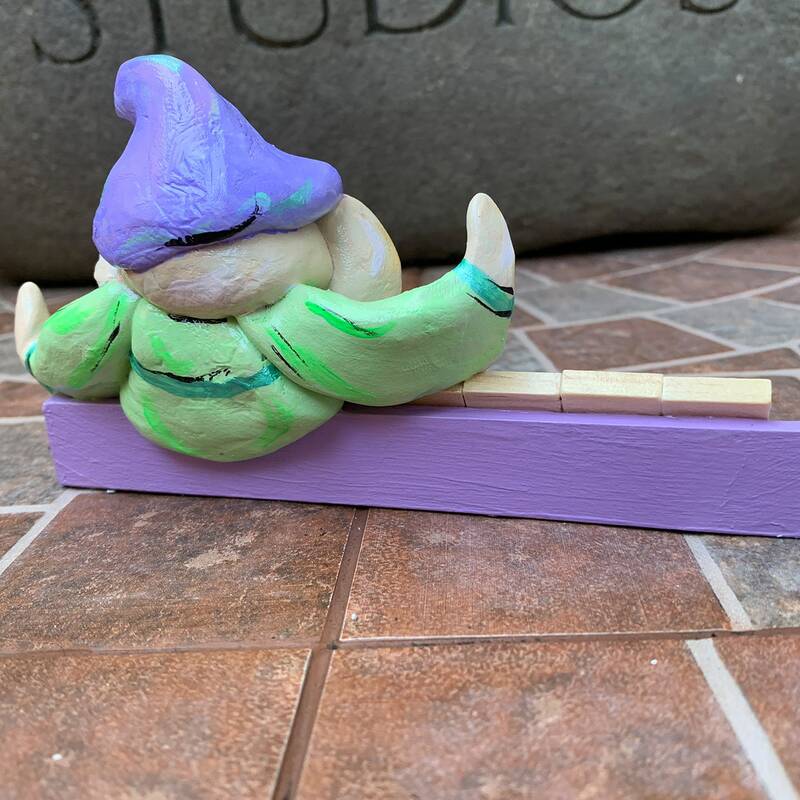 This reimagined Scrabbulized Dopey is a perfect desk companion. 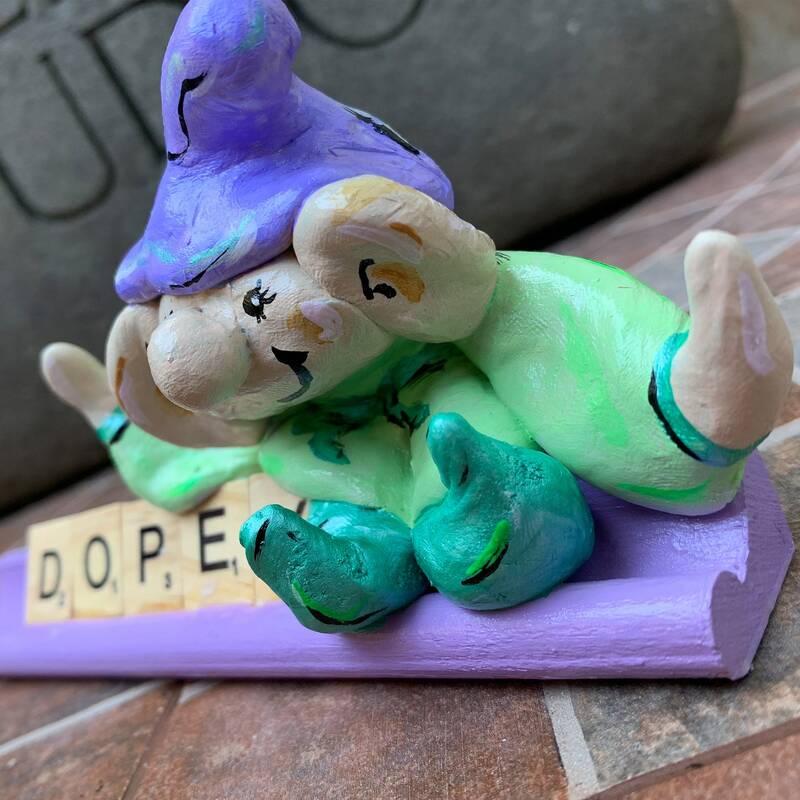 Say the word and he is ready to hop in a truck and come to live with you.